Adding a new deck to your property can transform any outdoor area, adding value and creating extra living space. It’s great for having your mates round for barbecues in the summer. If you do it yourself, you’ll save yourself a heap of money too. But, you’re smart and already knew that. 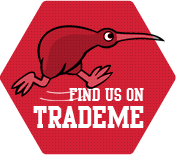 That’s why you found us – to get a bargain on your timber! We have a couple of different options for you. We can help you build your new deck yourself from scratch or, so you can barbecue in no time, we have a bunch of kit-set decks available and can put you onto a trustworthy builder. As suppliers of New Zealand plantation-sourced Radiata Pine, you can rest assured of not only supporting Kiwi jobs, but also being proactive in supporting the sustainability of our timber stocks for future generations. We stock export-quality Premium Grade, Standard Grade and Merch Grades of decking, all handpicked from small independent mills to ensure the best quality at the best price. Click on the link below to find all the different widths, thicknesses and grades we stock, or send us an email. Built to code using only the best in-house materials, our kit-set decks are built to last. From go to whoa, you’ll be sat in your favorite deck chair in a couple of hours. And don’t worry – we won’t tell your mates that you didn’t build it from scratch! We also have a range of timber for your outdoor decking – depends what you’re after. Not sure? Come and see us and we’ll happily take you through your options and even give you the grand yard tour!